, and it will soon be removed from the old UI as well. 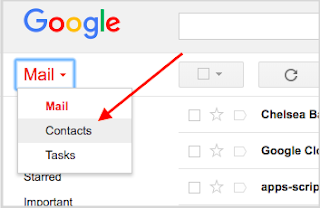 We’re removing the embedded contacts feature in Gmail. 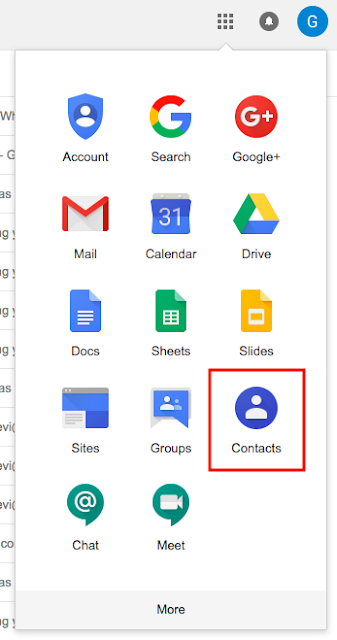 Going forward, G Suite users can access Contacts via their web browser at contacts.google.com or the app launcher. This will direct them to the new Contacts (a.k.a. Contacts preview) or the classic Contacts Manager, depending on which is enabled for their domain. You can access Contacts at contacts.google.com or via the app launcher (pictured). Unfortunately, many customers are unaware that they previously disabled access to the classic Contacts Manager, because their users can still access the contacts feature embedded in the old Gmail UI (as it isn’t controlled by the Contacts on / off switch). In response to feedback from these customers, and so that their users can continue to access their contacts, we’ve now enabled access to the classic Contacts Manager for all G Suite domains. Note that this change doesn’t impact domains with Contacts preview enabled; users in such domains will continue to see the Contacts preview UI when they navigate to contacts.google.com or select Contacts from the app launcher. Since launching Contacts preview in 2016, we’ve made steady improvements to the product. We’re continuing to work toward feature parity with the classic Contacts Manager, with delegation functionality planned for later this year. We highly recommend that all G Suite customers migrate their users to the Contacts preview, provided it meets their needs. If Contacts preview doesn’t yet meet your needs and you’re required to disable access to the classic Contacts Manager, please fill out this form and we’ll do our best to accommodate this need. Please note that this means your users will lose access to Contacts via their browser. To create a more consistent, streamlined Google Contacts experience, we’re removing the embedded contacts feature in Gmail, which gives users access to their contacts from the top left corner of the UI. This feature doesn’t appear in the new version of Gmail that recently launched, and it will soon be removed from the old UI as well.